Cricket Canada endorses the eligibility requirements of the ICC for all Cricket Canada events. 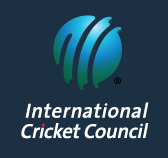 Players wishing to play for Canada in all ICC sanctioned events must meet one of the criteria as outlined in 2017 by the International Cricket Council. The player is a resident of Canada. This means that the player has their primary and permanent home in Canada for the immediately preceding three years. This requires that the Player is able to demonstrate a close, credible and established link with the relevant country. By way of a guideline, however, it is likely that, save in exceptional circumstances, as a minimum requirement, on aggregate, at least 10 months actual physical presence in the relevant country in each of the three years will be required to demonstrate that the country is the place where the player has his/her primary and permanent home. Cricket Canada cannot provide assistance with players wishing to move to Canada; specifically Cricket Canada cannot assist with immigration, visas, employment, and does not sponsor players to enter Canada. 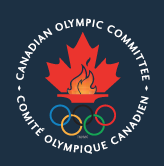 Players who meet the criteria outlined above and wish to be considered for representative teams are encouraged to contact their provincial associations if resident in Canada; or to contact Cricket Canada directly if not resident in Canada but holding a Canadian passport, or born in Canada.